BOX TOP$ Class Contest – Start collecting now! Starting November 5, 2018, Findley PTO is starting our BOX TOP$ Class Contest where the TOP CLASS to turn in the most BOX TOP$ will get a class reward! 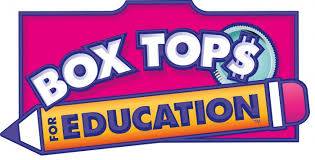 All Box Tops need to be turned into your student’s teacher by February 1, 2019. BOX TOP$ is an easy fundraiser and each Box Top is worth 10 cents to Findley. 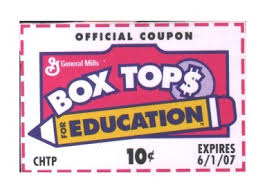 Please make sure that your BOX TOP$ are not expired!